One of the great benefits of owning your own home is the ability to save money by refinancing your home loan. Like many things in life timing is a critical component. There are many factors you need to consider before you can be sure that now is the right time. Refinancing might be a good idea if the current mortgage rates are considerably lower than when you obtained your existing mortgage but the length of time that you plan to be in your home is equally important. If you intend to sell the home within a few years than you won’t be able to recoup the cost of the new loan in increased equity. 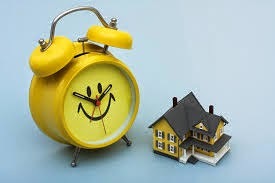 The best time to refinance your home loan is if you will actually lower your monthly mortgage payments considerably by doing so or if you need to borrow cash using the equity that you already have in your home. Managing debt by refinancing can be an excellent reason to do so if you can lower your existing mortgage payments, reduce the length of time remaining on your mortgage or save money by consolidating other higher interest bills. Many times refinancing can also allow you to switch from an adjustable rate mortgage to one with a fixed rate allowing you to better predict and control your exact monthly expenses. Depending upon where you live and your current type of loan and other factors you will encounter many fees when refinancing. Some examples may include attorney's fees, escrow and title company costs, credit report, survey fees, title search and insurance fees, a loan origination fee, pest inspection recording fees charged by your local government and more. The point here is that although refinancing can save you thousands over time it can also cost you thousands to perform. Like any other financial decision in your life you need to compare the cost to the actual savings you will enjoy and how long it will take to recover the money that you will invest. Finally, if you want to refinance your home solely for the purpose of getting your hands on some “fun money” you are probably making a big mistake. I have seen people do this because the just couldn’t wait to take that big trip to Hawaii or simply couldn’t live without that new boat. This happens more than you might think and it almost always ends in financial disaster. Please be wise and do your homework before deciding on a refinance. The end result should always be that you save money, not end up spending more. Talk to industry experts, your accountant or your attorney before making a decision. Refinancing is an incredible tool to help manage your finances but only at the right time and for the right reasons.